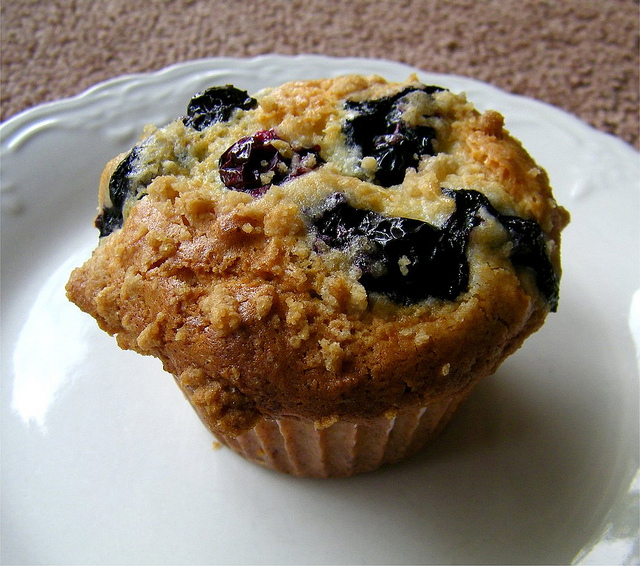 Blueberry muffin; photo by Jennie Ivins on Flickr (noncommercial use permitted with attribution / share alike). From Minnesota Legislative Reference Library: The bill was introduced at the request of a third-grade class from South Terrace Elementary School in Carlton, Minnesota. The third graders were inspired by a Massachusetts class who lobbied for the corn muffin to become an official symbol in that state. The children chose the blueberry muffin because wheat is an important crop in southern Minnesota and wild blueberries are common in northern Minnesota.